Texture coordinates transform and map pixels in a 2D image onto specific 3D points. Texture images are in a texture coordinate system. By default, an entire texture image is mapped once around the shape. You can also extract only pieces of interest, or create repeating patterns. Texture coordinates and indexes describe a texture cookie cutter. Texture transforms translate, rotate, and scale place the cookie cutter. Texture indexes bind the cut-out cookie texture to a face on a shape. Figure 18 19 Texture Coordinate Test A square face texture mapped using texture coordinates to select the texture image. Figure 18 20b Texture Coordinate Pizza Slice A pizza texture with a slice selected mapped to a triangular face. Also see Figure 18.20b and Figure 18.21 for comparison. Figure 18 21 Texture Coordinate Pizza Slice A pizza and slice. Also see Figure 18.20b and Figure 18.21 for comparison. Figure 18 22b Texture Coordinate Video Wall A four-screen video wall, each screen created by stamping out one fourth of a mountain texture image and using a TextureTransform node to translate the texture cookie cutter. Figure 18 23b Texture Coordinate Grillwork A small grillwork texture image repeated across a square face using texture-coordinate scaling. Also see Figures 18.23b and 18.24 for comparison. 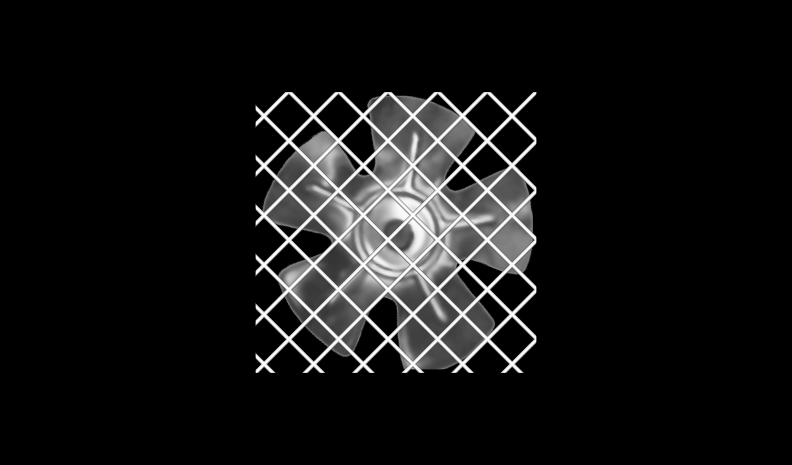 Figure 18 24 Texture Coordinate Rotated Grillwork Fence A rotated grillwork texture image mapped to a rectangular face to create a chain-link fence. Also see Figures 18.23b and 18.24 for comparison. Figure 18 25b Texture Transform Brick Box A scaled-down brick texture repeatedly mapped to shape of a Box node using a TextureTransform node. Figure 18 26b Uncorrected Texture San Diego Bay A texture of San Diego Bay mapped to a flat elevation grid. Compare Figures 18.26b and 18.26c. Figure 18 26c Corrected Texture San Diego Bay A flat elevation grid using custom texture coordinates to reverse warping and invert the San Diego Bay image as it is applied. Compare Figures 18.26b and 18.26c. Figure 18 27 Rotating Fan Animated Texture Transform A rotating fan, made realistic by animating a TextureTransform.